State Senator Bill Monning (D-Carmel) of California recently introduced a bill to tax sugar-sweetened beverages at a rate of a penny per ounce, ostensibly with the goal of reducing obesity across the state. I’m curious to see how this bill will be received though, as Californians have shown with their ballots that they don’t care for soda taxes. Citizens of Richmond and El Monte, California voted on a penny per ounce soda tax in November 2013, and 67 percent of the voters in Richmond and a shocking 77 percent of voters in El Monte voted the tax down. 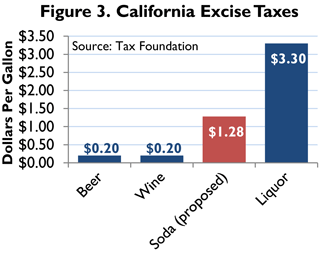 I wrote a comprehensive analysis of why soda taxes are poor tax policy and wrong for California last year, but here I will review a few of the highlights. 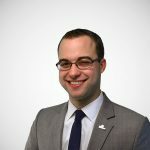 Soda taxes distort personal choice– The role of the tax code is to collect revenue for necessary government services, not micromanage the economy. Personal choices like diet inputs are truly personal. When you start to use the tax code to encourage some behaviors and discourage others, you often run into unintended consequences. One recent study showed that taxes on sugar sweetened beverages reduce consumption of the taxed beverages, but adolescents perfectly substitute in the same amount of lost calories with other food and beverages. Another recent study showed that households that drink beer just switch to consuming more beer when soda is taxed. The result is approximately 2,000 extra consumed calories among beer drinkers—which moves in the opposite direction, and brings concerns of switching one public health problem for another. Some proponents of soda taxes claim that obese Americans create “externalities,” or shared costs, in the health care market. The story goes that obese people use more health care services than slimmer individuals, and these health care costs are shared through the socialized insurance pools of Medicare, Medicaid, and third party insurance providers. An appropriately priced tax, they argue, would force obese individuals to bear the full cost of the unhealthy habits that they currently shift onto others in the economy. However, proponents of this line of logic are quick to jump to increasingly economically distortive public policy measures like taxation. The shared cost problem they describe only exists because of the socialized and regulated nature of the nation’s health care system and could be more easily remedied through reforms in Medicare, Medicaid, and third-party insurance pools. A simpler and more straightforward approach would be to allow insurance companies to charge higher premiums for obese individuals, a practice that is generally illegal at present. This would directly address obesity as the source of shared health costs as opposed to clumsily taxing soda, which is just one of many caloric inputs. It would also allow consumers to alter their eating patterns as they see fit, as opposed to providing a one-size-fits-all diet regulated by the tax code.